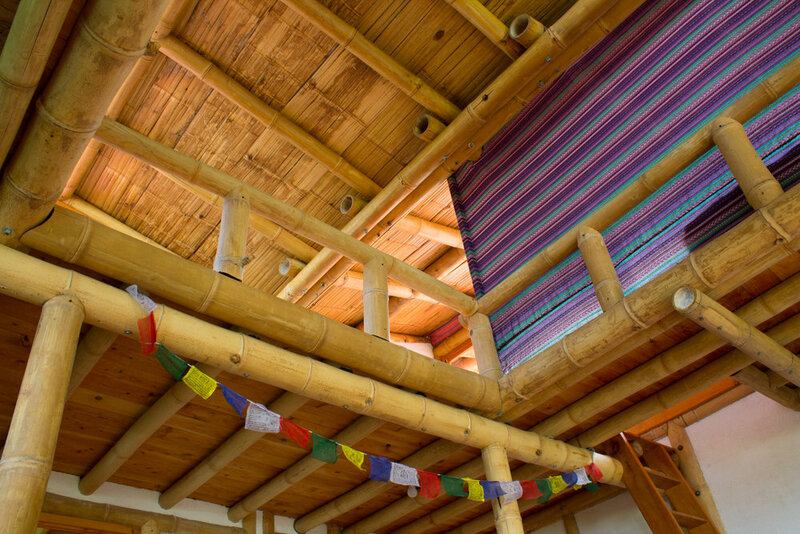 The Bambu Guest House's private room is a perfect place to relax and re-connect with nature, friends, or yourself. Bright and airy, natural light and beautiful views enter the room through its many windows. 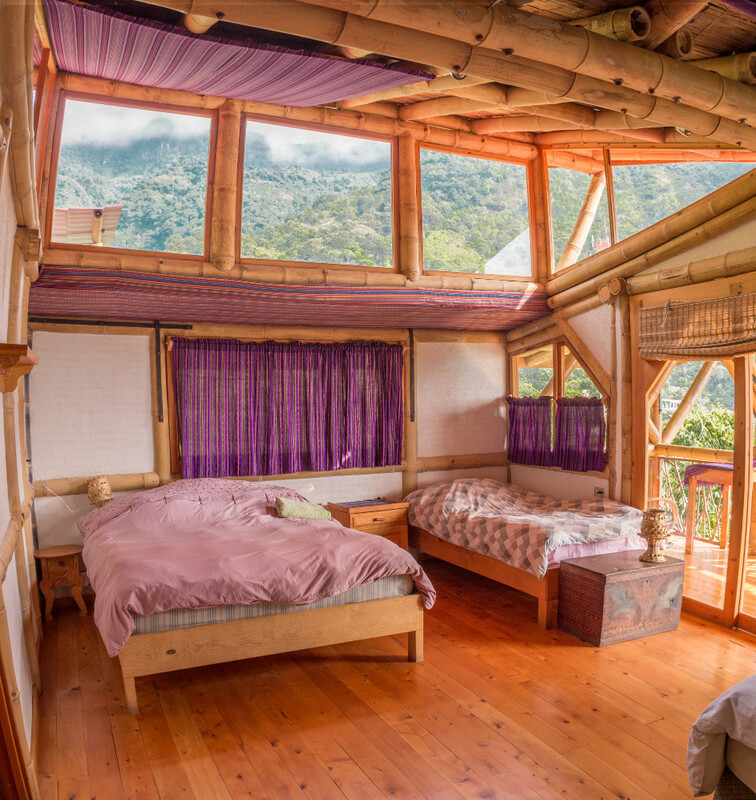 The attached balcony with seating and hammocks gives you an even better view of the lake and volcanoes, and your private bathroom with hot water and comfy beds will leave you rested and refreshed. All rooms have wifi access. All guests have access to the farm-to-table restaurant (8:00 a.m. - 8:00 p.m.), or if you prefer to cook you may use our communal kitchen. Surrounded by amazing natural beauty and the rich culture of traditional Mayan people, guests can hike to nearby waterfalls for a swim or into the mountains for amazing views of the whole lake. San Marcos is a 15 minute tuk-tuk (local taxi) ride away and boasts lots of activities for entertainment. 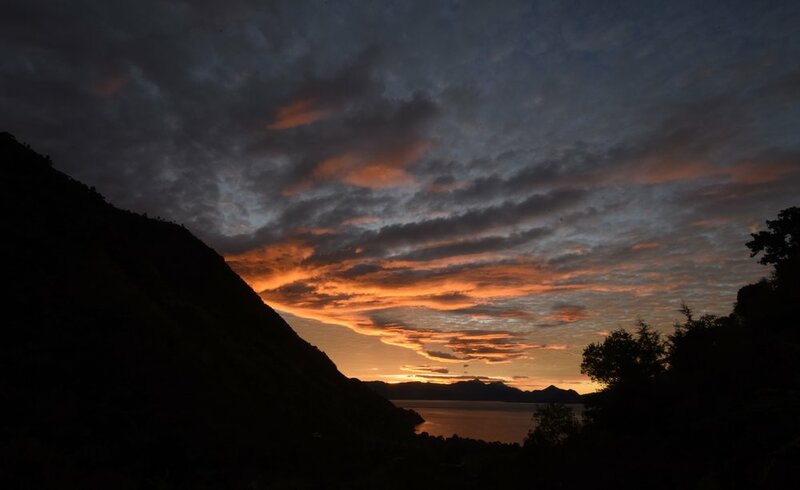 The guest house is closely connected to Atitlan Organics and guests are encouraged to tour and even help out on the farm. 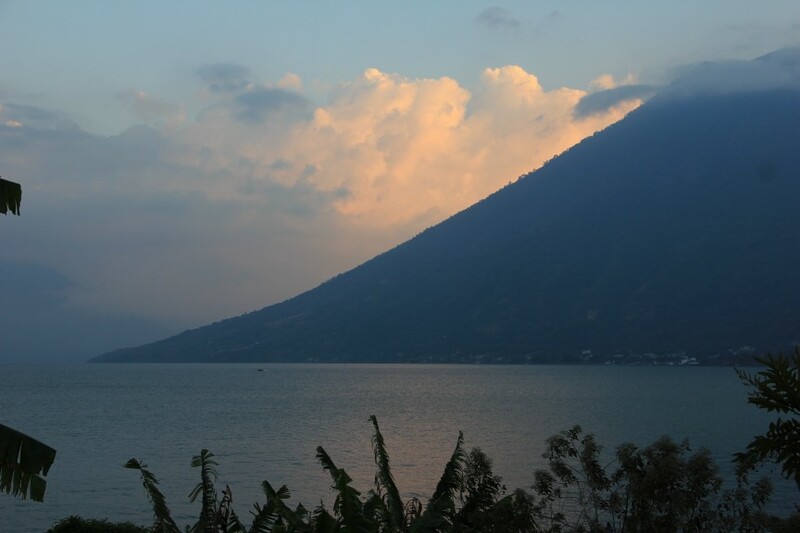 Tzununa is the best town in Lake Atitlan. Undiscovered, beautiful, quiet and a great place to relax and learn in nature. Our shared "more-than-a-dorm" rooms are anything but your typical backpacker hostel's cramped quarters! Light, bright, and airy, you'll be at ease in the space. Each room offers a private bathroom with hot shower, comfy beds, and amazing balconies with epic views. There is Wifi throughout the whole house, as well as access to a kitchen and free drinking water. Surrounded by amazing natural beauty and the rich culture of traditional Mayan people, guests can hike to nearby waterfalls for a swim or up into the mountains for amazing views of the whole lake. San Marcos is a 15 minute tuk-tuk (local taxi) ride away and boasts lots of activities for entertainment. The guest house is closely connected to Atitlan Organics and guests are encouraged to tour and even help out on the farm.